California's Taco Shop - Thanks to our customers this year we celebrate out 10th Anniversary operating! We opened California’s Taco Shop’s doors for the first time on October 2003. Thanks to our customers this year we celebrate out 10th Anniversary operating! We opened California’s Taco Shop’s doors for the first time on October 2003. Thanks to our customers this year we celebrate out 10th Anniversary operating! We opened California’s Taco Shop’s doors for the first time on October 2003 and since then we are focused on delivering the most authentic, delicious and affordable Mexican food to our clients. 10 Years in business are live proof of out commitment to you and makes us one of the leaders in the industry. 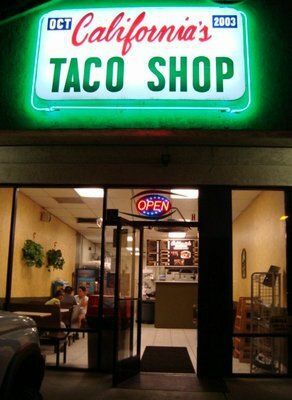 Today, California’s Taco Shop is considered one of the Best Taco Shops in San Diego. Come visit us Today! We are located at 51 N Highland Ave. National City, CA 91950 an you can reach us at (619) 263-3000 Thank you! Here at Banbu Sushi Bar & Grill we are committed to providing our customers with excellent dining experience. Each dish on our menu is prepared using only the freshest and highest quality ingredients. Family owned and operated Cuban restaurant offering home cooked meals in Miami for over 20 years with 5 locations in Miami and growing. Known for our Cuban pizza and Cuban coffee in South Beach! At Hub Market & Deli we offer meals of excellent quality and invite you to try our delicious sandwiches.